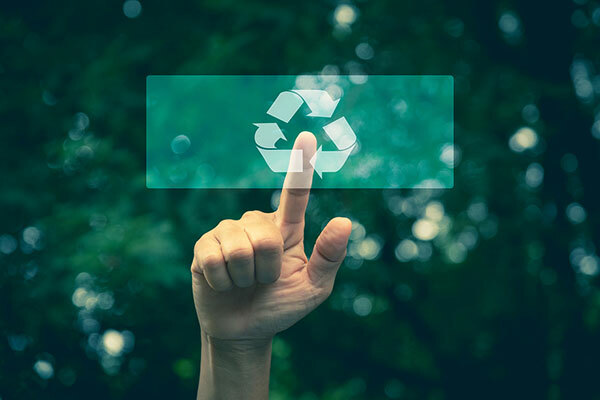 Ocean Polymers, a British recycling technology company, said it aims to develop partnerships with companies which invest in technology and recycling infrastructure to advance the circular economy within the Arabian Peninsula. Scientists estimate that more than half of the eight million tonnes of plastic that flow into the ocean every year come from developing countries where waste management has lagged behind rapid economic growth. Currently, global production of plastic surpasses 300 million tonnes per year and is forecast to double over the next 20 years. Only 10 per cent of the waste generated is recycled with the remainder being incinerated, sent to landfill or left to pollute the land and sea. As a result, there is a growing and pressing need for Ocean Polymers’ solution for recycling mixed plastic waste. Paul Rodger, CEO of Ocean Polymers said, “For over ten years, the company has been intensively researching and developing its polymer recycling technology. Now, its innovative process (a form of which is an established system used by the U.S. military) can separate, decontaminate and extract hydrogen and syngas, as well as other valuable by-products. The global plastic recycling market, which was valued at $31.5 billion in 2015 is expected to reach a figure of $56.8 billion by 2024. During the forecast period of 2016 and 2024, the global market is expected to progress at a compound annual growth rate of 6.9 per cent. The company stated that each machine when fully operational will pay back the associated capital expenditure within less than two years. Ocean Polymers are in discussions with several International Angel Funds and Foundations to secure capital investment and financing of the unique ship and land-based systems used to collect plastic waste; especially in areas thought previously to be inaccessible or of limited economic value. Paul Rodger went on to add: “The ocean plastic problem within the Arabian Gulf, Arabian Sea and the Red Sea as well as the littoral areas of the Arabian Peninsula is causing problems for both natural ecosystems and tourism. We plan to work with leading companies and government authorities, within the region, to clean the ocean of the plastic waste and to create jobs through profitable Public Private Partnerships. This will also create more clean energy opportunities via the hydrogen and bi-fuel created.